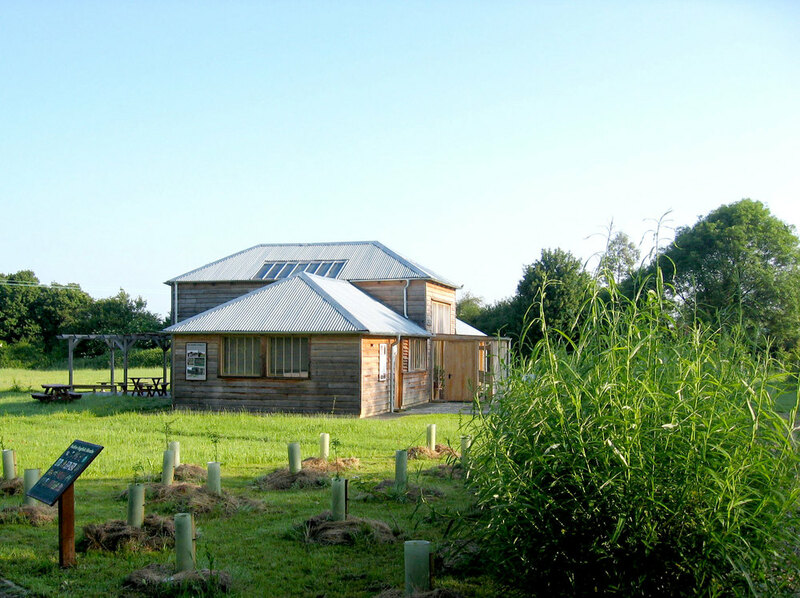 A community building used by the Green Light Trust to adminster their community woodland projects, and to provide a meeting and training space for environmental projects. 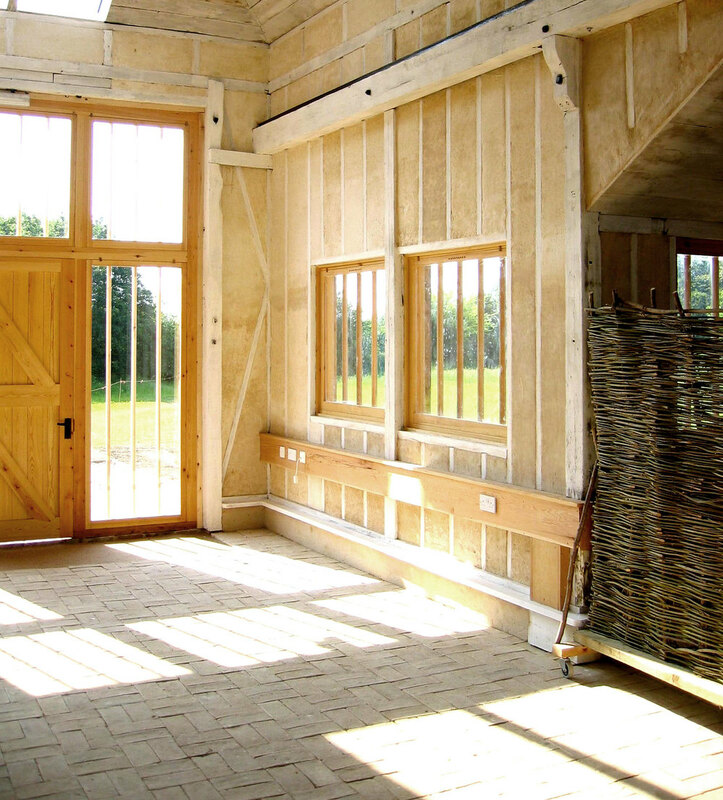 This building was the first 'better than zero carbon' building constructed in Suffolk, with 4 tonnes of carbon locked up in the building fabric, as opposed to the conventional environmental footprint of high carbon emissions resulting from the manufacture of materials used in construction. 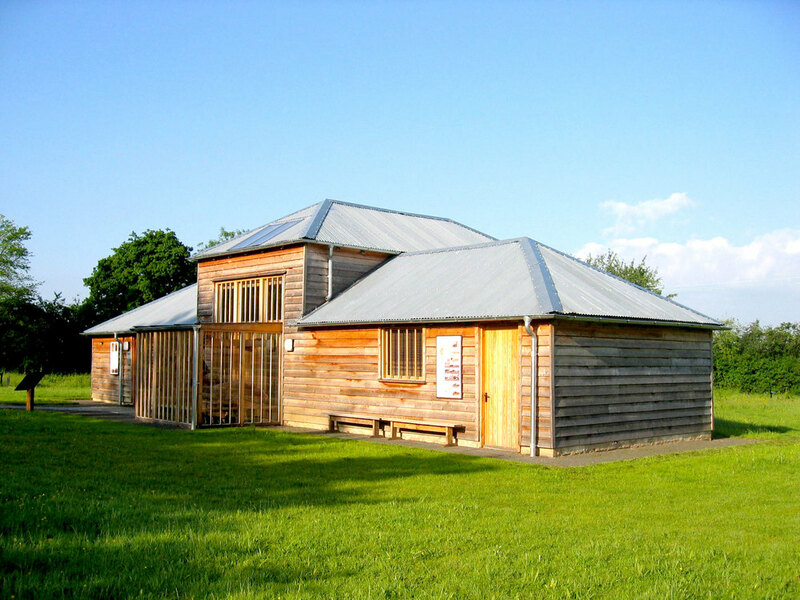 The use of hemp, lime, timber framing, larch cladding, wood fired heating, solar hot water heating, reed bed sewage treatment, and wind powered electricity generation mean that this building achieves the highest possible rating for its environmental performance. 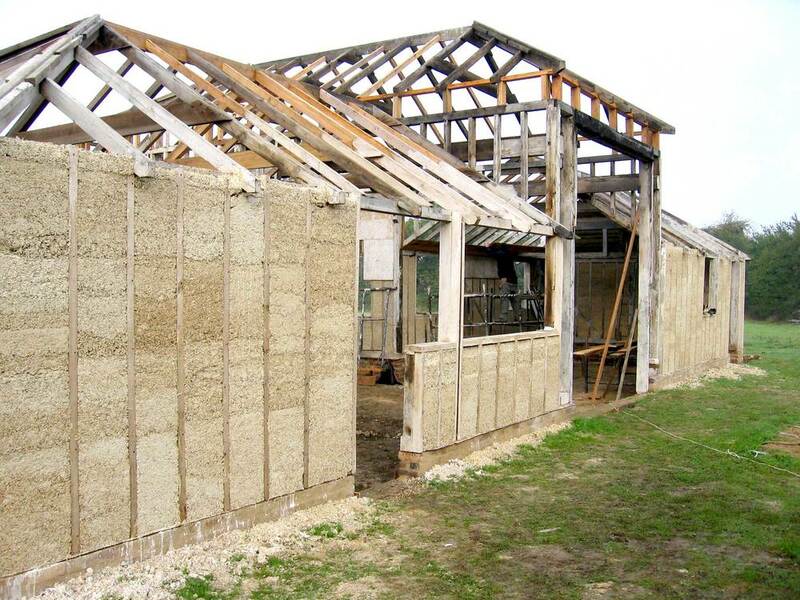 The interior has exposed hemp walls, brick floors laid on hemp insulation with underfloor heating, timber windows with ventilation air passing between two single panes of glass, and boarded ceilings. 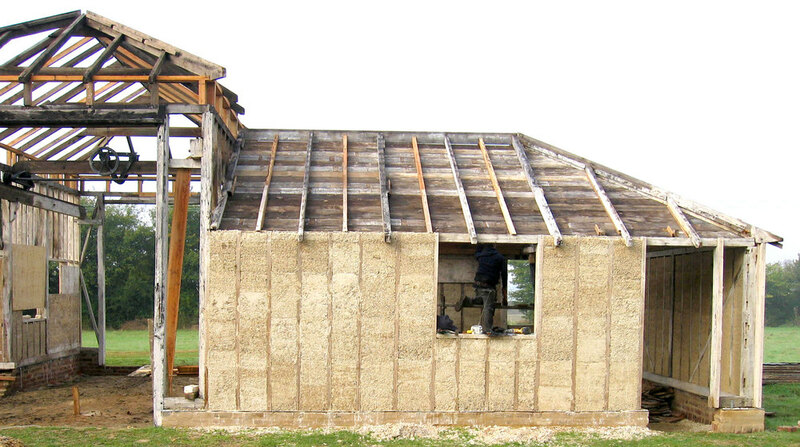 The calm interior has a positive effect on all groups who use the building.